On November 6, 2018, T3 Senior Engineer, Cerasela M. Cristei, PE; was presented with the President’s Award for her service to the Washington, DC Chapter of the Women’s Transportation Seminar (WTS-DC) over the past year. Outside of our office, Cerasela has devoted much time and energy to advancing women in our industry, and one way she does that is through a long-standing commitment to WTS-DC. Only one person is chosen for this award each year, and this year that person is our very own Cerasela. The award was presented publicly at the WTS Holiday Party dinner on December 4, 2018. Congratulations, Cerasela! Thank you for all you do, both at T3 and within our industry. T3 Design is pleased to announce that Tandrumn Reid has joined the firm as the Vice President of Business Development and Marketing. She is based in the firm’s headquarters in Fairfax, Virginia office and is responsible for expanding T3’s presence in the Mid-Atlantic region. Ms. Reid comes to T3 Design with more than 20 years of experience in marketing; proposal management, to include production of proposals, presentations and marketing materials; business development; and strategic planning and development for the sale and promotion of engineering services for A/E firms from DBE to mid-size to Fortune 500 companies. 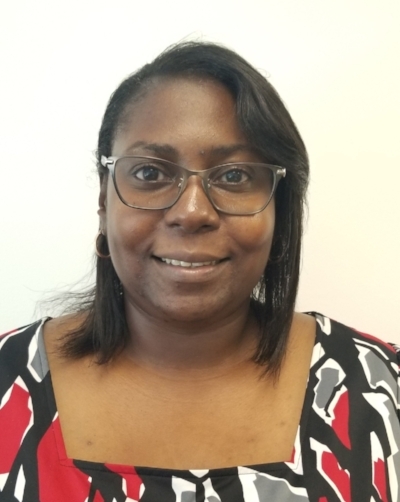 With an emphasis in Transportation, Ms. Reid has extensive knowledge of civil and traffic engineering and construction management and inspection services for state DOTs, Federal agencies and local municipalities. She holds a Bachelor’s of Science degree in Marketing from George Mason University in Fairfax Virginia. “Tandrumn Reid has been a friend and champion to our organization throughout our entire history as a company, and we are thrilled to have her join us and propel us forward. She has built deep relationships throughout our engineering community, and she embodies all the values we hold dear, including openness, trust, respect, teamwork, and leadership,” notes T3 president, Amy Morris, P.E., PTOE, PMP. Tandrumn brings to T3 her professionalism and career success, as well as her commitment to the company's future and to our clients. She can be reached at her direct line (571) 224-9456 or by email at treid@t3design.us.